Sorakaya is also known as lauki ,laau , dudhi ghiya , aal ,anapakaya, dudhi-Bhopala and Bottle gourd. 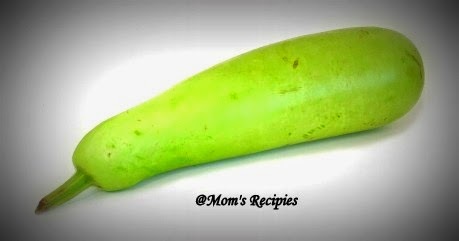 With Bottle gourd we can make curries,chutnies and can be used in sambar also. We can also make yummy sweets. Bottle gourd is rich in fiber and essential minerals, iron and protein. Since it is low in calories, bottle gourd can be used in low calorie diets. 1) Wash the bottle gourd. Peel it , and cut into small pieces (1 inch) by removing all their seeds inside to it. 2) In a vessel add the chopped bottle gourd,2 cups of water and boil until they becomes tender or You can also cook it for 2whistles in the pressure cooker.Turn off the flame and allow the pressure to release by itself. 4)Now beat the Yogurt/curd with the help of a spoon and form a thick liquid form and keep it aside. 5) Wash, clean green chilies and grind them to a coarse paste. 6) Cut coconut into small pieces and grind it or grate the coconut and keep it aside. 7) Add this grated coconut and green chillies paste to curd and mix. 8) Add salt to the curd mixture and mix well. 9) Wash coriander and chop it finely and keep it aside. 10) Take a kadai or pan .Heat oil in pan. 12) Add these seasoning to the curd and mix well. 13) Add cooked Sorakaya /Bottle gourd pieces a to the curd and mix them well. 14) Adjust salt and Garnish with Coriander leaves. 15) Serve it with Roti or Rice.